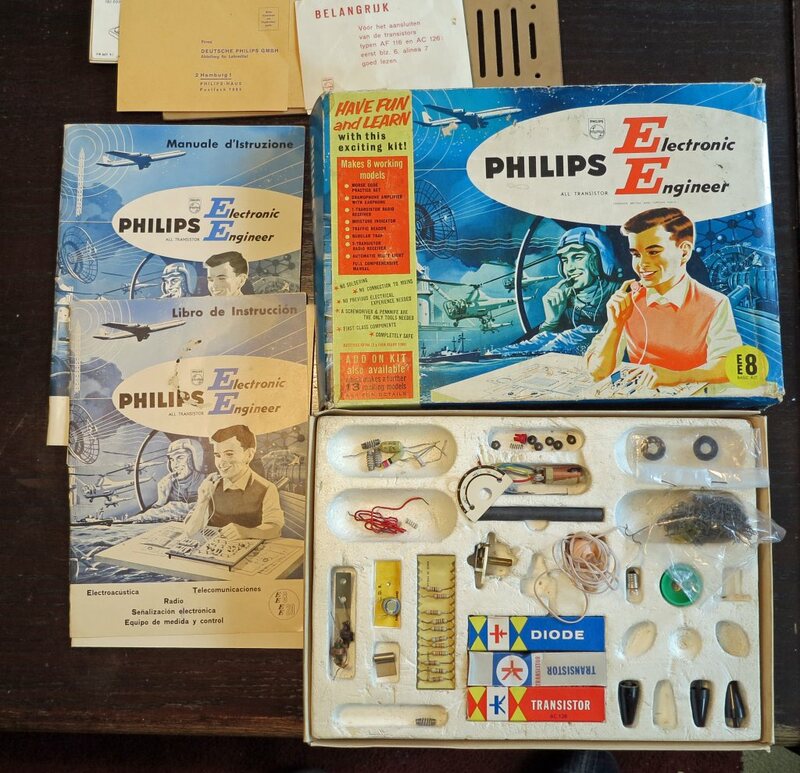 For many years Philips has produced, in many incarnations and later under the flag of Schuco, Electronic Engineer kits. 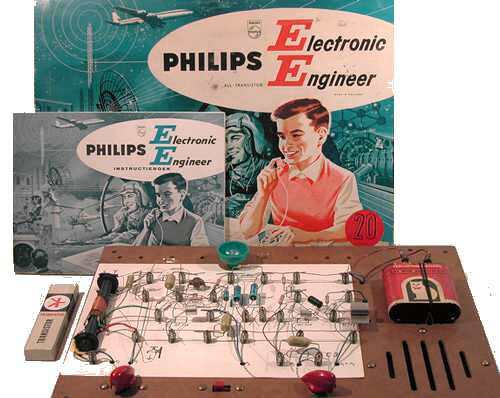 All had in common a board, hairpins and springs for construction, templates and many challenging experiments. 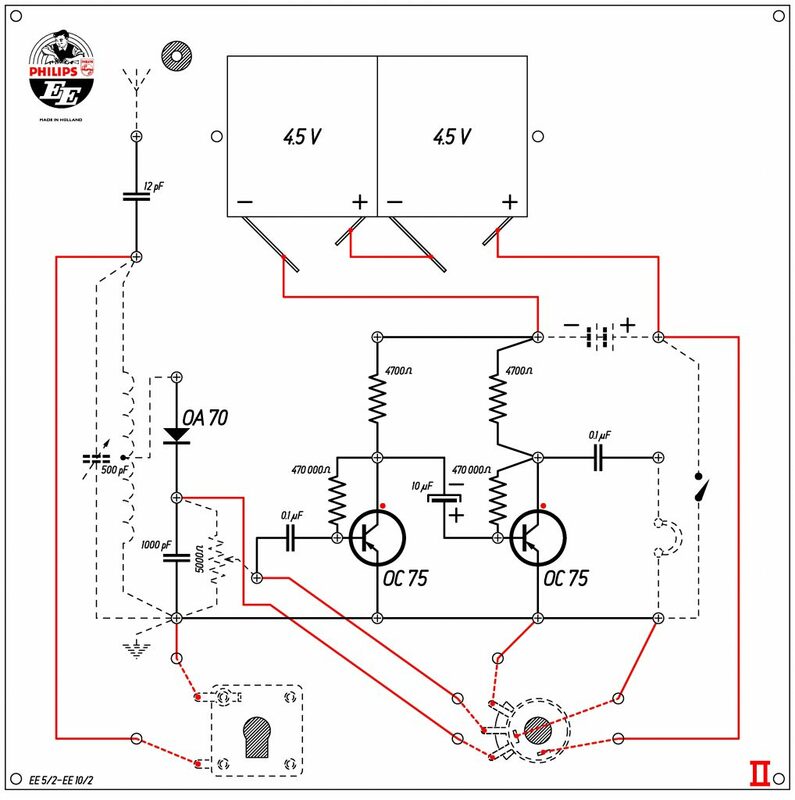 Each series updated enhanced designs and modernized and added components. EE5/10. Shortlived and limited to some European countries. EE8/A20/EE20. Available worldwide in many localized versions. EE100x. 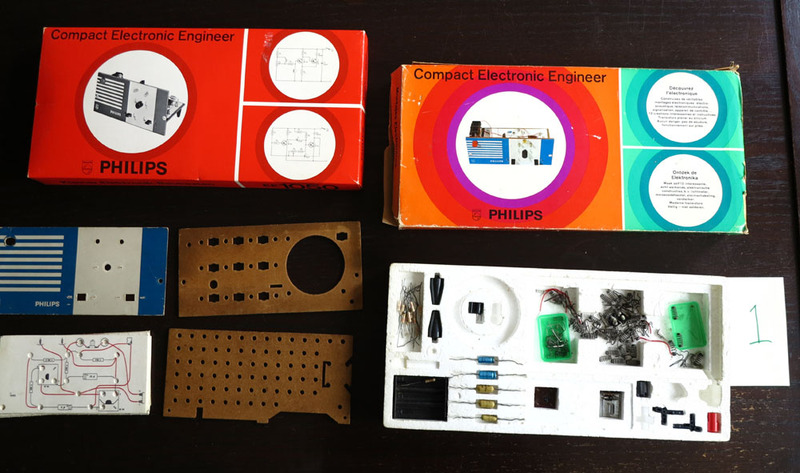 The kits with challenging radio designs. 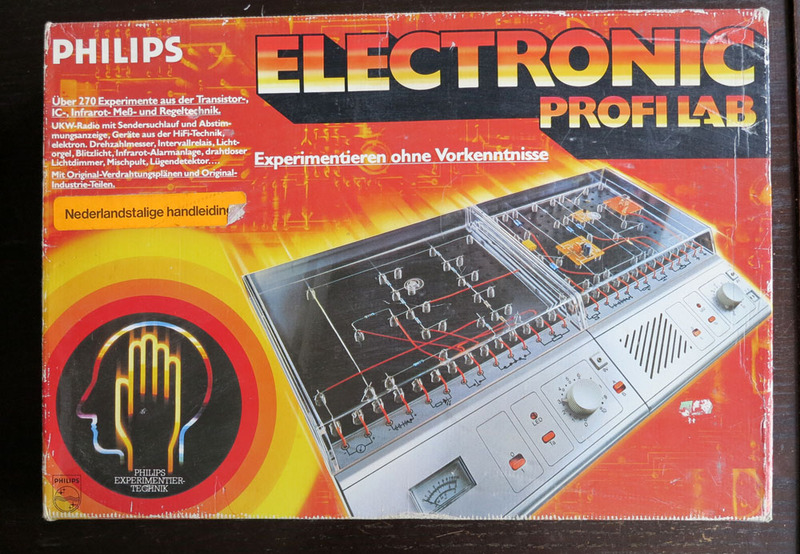 And even a television and oscilloscope. 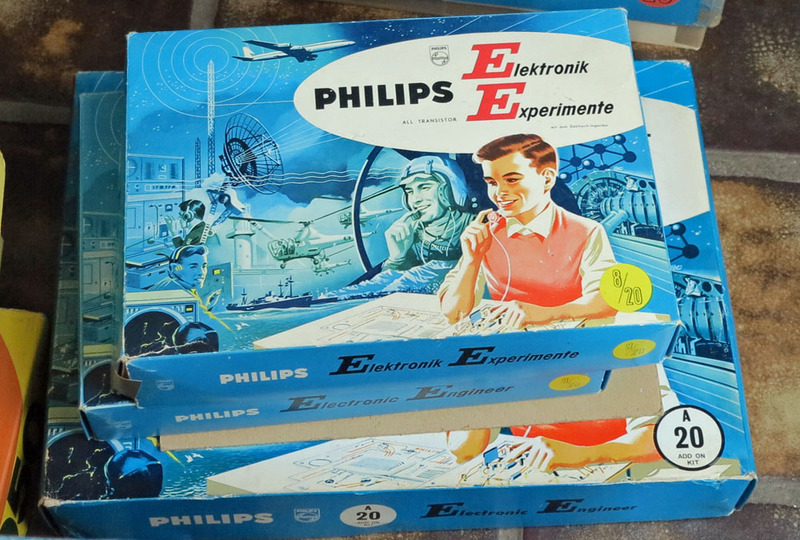 EE105x. Compact Engineer, more a descendent of the EE8. EE2xxx. The large expansion to many type of kits. EE3xxx. A modern and more compact range of kits.